Ever heard of the sphygmomanometer? It's that inflatable cuff that straps to your upper arm and squeezes your limb until you go numb. You use it every time you go to the doctor or ER. And if you have high or low blood pressure, you might even use it at home. The sphygmomanometer is a critical medical device because it monitors blood pressure levels in patients. But it's also clunky and cumbersome. It wastes time for nurses who have to wheel it around to hospital patients, and it wastes time for the average person who wants to check their blood pressure levels but has to go a pharmacy or clinic to do it. Since wearables began flooding the healthcare arena, it was only a matter of time before a wearable blood pressure monitor was developed to help you track your health from the comfort of your own home. Omron's "Project Zero" includes two models. One is a standard blood pressure monitor that straps around your arm and displays the results on a small screen. The other is a wearable version: a wrist-worn fitness tracker that looks more like a blood pressure smartwatch than a — remember the word? — sphygmomanometer. Like other wearable fitness trackers, the wrist-worn Project Zero can track physical activity, heart rate, quality of sleep, and step count. 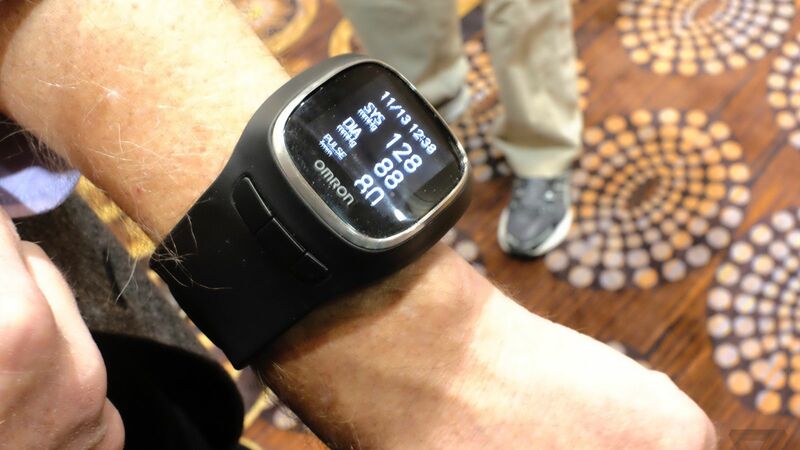 But Omron's model stands out because it's the first wearable device to track fitness metrics and blood pressure. CharmCare's H2 is, according to their website, "the world's smallest and lightest blood pressure monitor." It can monitor blood pressure in 20 seconds, and it offers daily recommendations for food and physical activities. The iHealth wireless blood pressure monitor wraps around your wrist and relays the readings to your smartphone or tablet. Unlike the Project Zero, H2, and iHealth models, the QardioArm is a small wearable device that straps to your upper arm. When the QardioArm relays your blood pressure readings to a smartphone or tablet, it displays your results on a color-coded chart so you can find out if your blood pressure levels fall within a healthy range. The Withings model works the same way as the QardioArm. It wraps around your arm, syncs to your smartphone, and even tracks information like weight, daily activity, and sleeping patterns. Which Wearable Device Gives More Accurate Readings? All devices meet FDA requirements for accuracy. Can These Devices Be Connected To Smartphones? The metrics for each of these devices can be wirelessly synced to apps on iOS and Android devices. Fitbit Blood Pressure Monitoring: Does It Exist? Unfortunately, Fitbit does not make a device that can automatically monitor your blood pressure. For that, you'll need to use a separate device. However, many Fitbits can track your heart rate throughout the day, like the new Charge 2. Any Roadblocks For Wearable Blood Pressure Monitors? iHealth, QardioArm, and Withings have received FDA clearance. Omron's wearable device has been validated by the European Society of Hypertenstion international protocol, but it still has to complete clinical testing and FDA certification. H2 must also complete clinical testing to receive FDA approval. For blood pressure monitors to get the most accurate readings, they have to be placed at heart level. That's why standard blood pressure monitors (and the Withings and QardioArm models) are strapped to your upper arm. To fix that potential roadblock for wrist-worn devices, Omron and iHealth claim that sensors in their devices can identify how you're holding your arm and alert you to move it to heart level to make sure you get the most accurate reading. 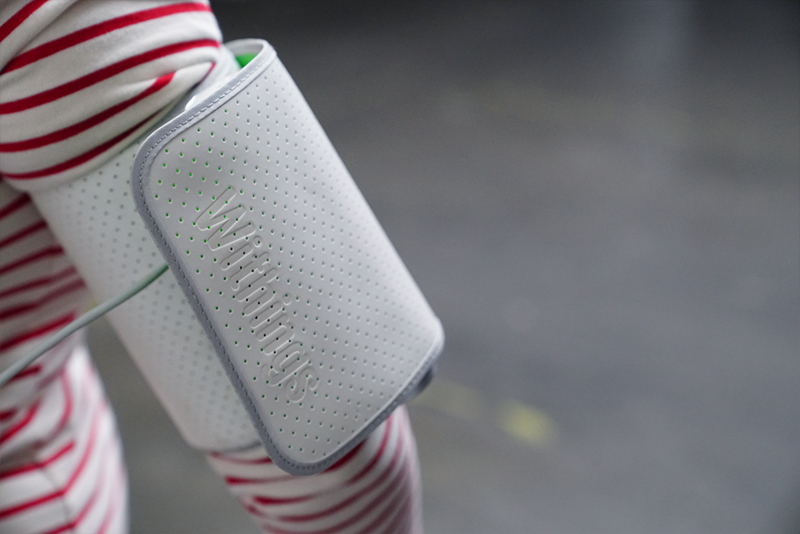 The Withings and QardioArm models are smaller and more portable than traditional blood pressure monitors, but they aren't as convenient as wrist-worn devices. 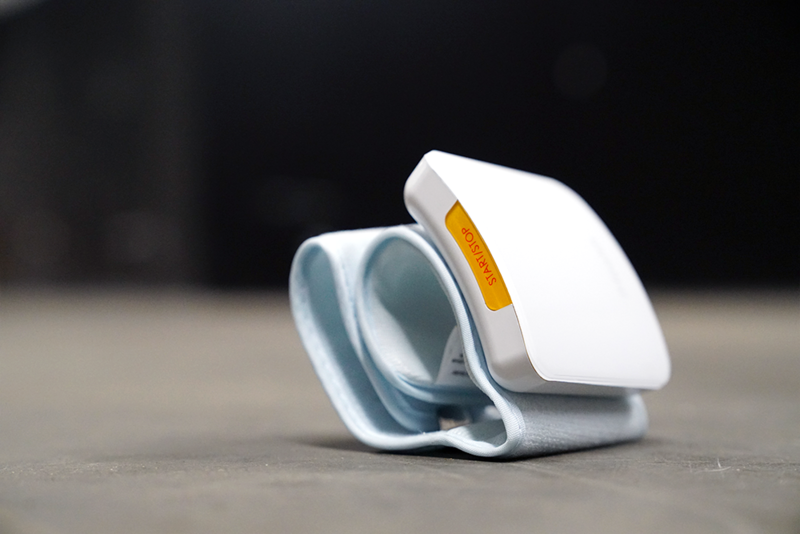 While the iHealth wrist-worn device is too intrusive to be worn on a daily basis, the Project Zero device was designed to be worn day and night. The wrist-worn H2 is smaller and less clunky than the Omron model, and it comes in three sizes and six colors — two important factors to consider for users who prefer to wear the device everyday. Who Can Use Wearable Blood Pressure Monitors? High blood pressure (also known as hypertension) is a dangerous disease that can lead to heart disease, stroke, and death. Wearable blood pressure monitors can be used at home and in hospitals and clinics to help patients track and share their health data on a day-to-day — even a minute-by-minute — basis. Considering that one in three Americans has high blood pressure, these wearable devices could save millions of lives. Help track your blood pressure levels from the comfort of your own home.